Across the globe, it is now a trend of sorts to establish and support startup ecosystems and programs, from co-working spaces to startup accelerators, all with an aim to grow entrepreneurship and innovation ecosystems. These ecosystems and programs, based on supporting startups from ideation to execution through the development of proof of concept (POC) and minimum viable products (MVP), correctly highlight the importance of entrepreneurship in advancing our economies. Indeed, some of these are essential when we consider a myriad of industries that are going obsolete, fading or failing. Startups start small, but they soon begin contributing significantly to economic growth. Not only do they create more employment opportunities and improve employment patterns as they grow (as in the case of Google), but more importantly, their innovative solutions inject vitality to real problems they are solving. Benchmarking startup ecosystems in the US, Dane Stangler, a research manager at the Kauffman Foundation, notes that there are about 500,000 new businesses created annually in the US, all of which help maintain a total of two million startups- at 30%, there are more of them than any other type of company, and between 48% to 50% of startups survive to their fifth year. If you net out job turnover, each startup creates about two net new jobs every year. Companies less than one year old have created an average of 1.5 million jobs per year over the past three decades. However, in spite of the many support structures designed for startups, the data indicates that those ecosystems are also failing to some extent. The Kauffman Foundation reports that the percentage of entrepreneurs owning a startup has been declining since the 90s, and the Brookings Institution found that the startup rate (the number of new companies as a percentage of all firms) has fallen by nearly half since the 80s. At the same time, seed/angel investors completed about 900 deals in the second quarter of 2017, down from 1,500 deals (40%) during the same time period in 2015, according to a Venture Capital Data report released in June by Seattle-based PitchBook Inc. The current number of accelerators globally according to StartupBlink.com.Image Source: Mind Cloud Academy. 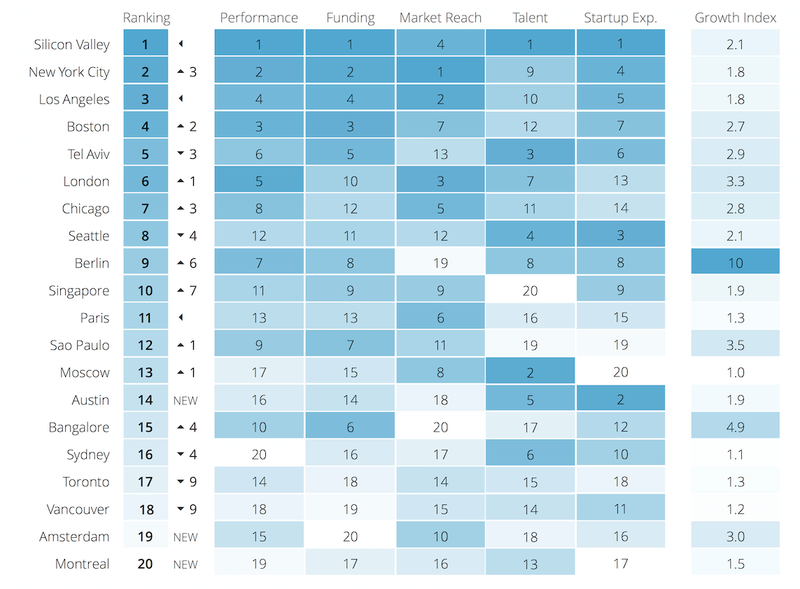 Global Startup Ecosystem Ranking 2015 by StartupGenome.com.Image Source: Mind Cloud Academy. While all of this is happening, established corporations are, in parallel, feeling the heat of all the digital disruptions around the world. In response, those companies, usually with big budgets at their disposal, have started designing innovation strategies and establishing innovation labs. Similar to startup accelerators, these labs aim to fund and execute ideas into POCs, and then into the requisite MVPs. It is a good step forward as those conventional corporations have a wealth of established infrastructures, networks, markets, data and resources, not to mention the human capital and households they foster and support. Any successful innovation on that level, aside from sometimes being crucial to the corporation’s relevancy, sustains a whole economic ecosystem around it. But there’s a catch here too. In reality, most of these innovation labs will produce only tweaks and small incremental improvements to today’s already existing business models, as opposed to the major changes in internal corporate behavior they are designed to trigger and establish. Actually, this is quite predictable, since corporate managers and executives are often given the control of the labs’ agenda, but no clear mandate. Corporate innovation labs fail to see opportunities through the lens of customer experience- they require a financial forecast for an innovation project before testing it in the real world, and when they provide funding to a startup, they hold back on the corporate’s most important resources: markets accessibility and scalability. And the end result? While such strategies start off as being purposeful and well-meaning, they simply fail to reach its goals– to put it simply, startup ecosystems are shrinking, and corporate innovation labs are not delivering, even with all the funding and support thrown at them. So, where is the disconnect happening? In my opinion, we are all missing the forest for the trees. You see, what these entrepreneurship and innovation strategies miss to look at are the already existing MSMEs and SMEs which constitute the major bulk of every economy. This gap exists, due to all the interest and attention completely overlooking these largest elements of any economy. In case you aren’t convinced, take a look at these figures. In the US, businesses with fewer than 50 employees represent 95% of all US companies, of which 3.7 million MSMEs account alone to 10% of the private workforce. 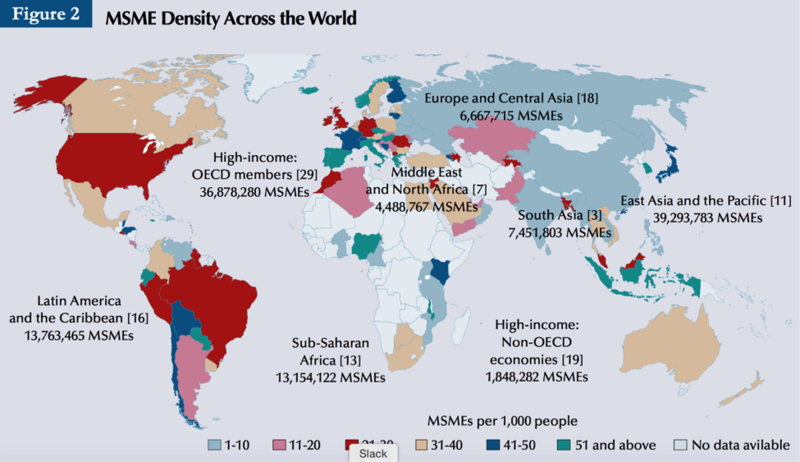 In Brazil, 6.3 million of MSMEs and SMEs account for 30% of the GDP while employing more than 60% of the workforce. In Denmark, 212,850 SMEs constitute 97% of all Danish companies, employing 65% of all the workforce. In Australia, SMEs account for 96% of all businesses and employ more than 63% of the workforce. In the United Arab Emirates, SMEs account for 95% of all companies, employing 45% of the total workforce, while MSMEs account for 75% of total business count. It’s important to note here that these small businesses are facing the same economic challenges of changing markets metrics, shifting consumers behaviors and disrupting new technologies. However, since they are not categorized as startups, they miss on that category’s support from the government or the startup ecosystem. 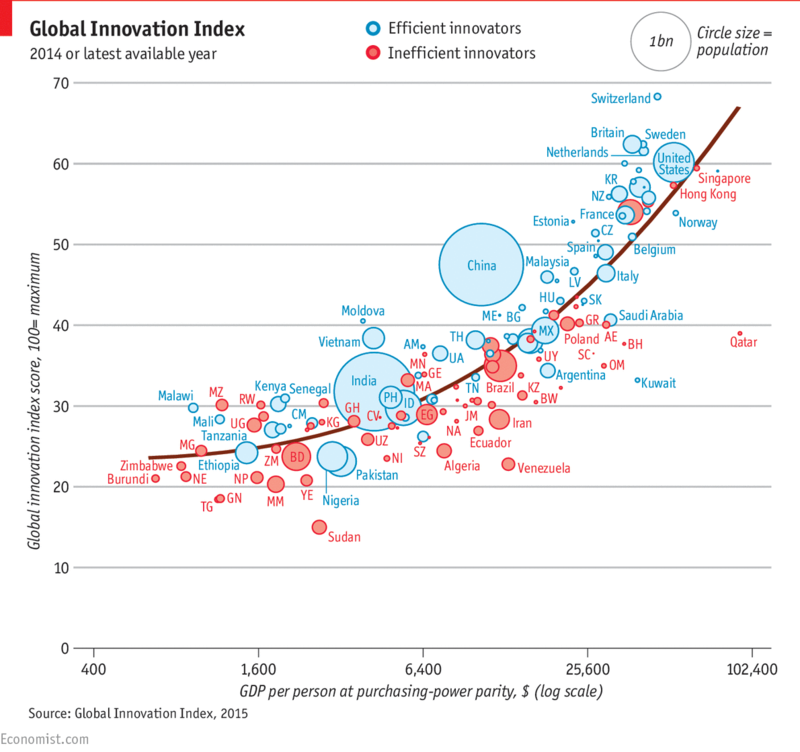 They don’t have enough funds, and thus can’t run their own innovation labs or simply deploy growth strategies. They are stuck in their growth, cannibalized in their markets and margins, and unquestionably demoralized. Now, I run the Mind Cloud Entrepreneurship Program in Dubai, where our applicants are future entrepreneurs working on their new idea, future intrapreneurs working on new channels and strategies for their corporations, and small business owners looking to get unstuck and develop new growth strategies. I have captured two stories to demonstrate how this last segment mentioned can benefit from such a program, and in return how such a small business, when it’s back in a growth stage, can benefit the economy again. In 2008, D.G. founded her payroll solutions company in Dubai, providing both a service and a solution for HR and payroll software to the Middle East market. At heart, D.G. is an HR person. With a master’s degree in HR, she is delighted that this is also the field her entrepreneurial spirit has taken her. Aiming to learn the theory and practice of pitching a new product in the market, D.G. joined the Mind Cloud program. Her unexpected benefit were the networking opportunities and the exposure to the world of investors. As she was challenged in launching a new online HR and payroll solution to micro and small businesses in the UAE, the course empowered her with a better understanding of the latest concepts of entrepreneurship as a whole. In particular, D.G. understood her unique value proposition, how to identify the right initial key strategic partners, and reach out to them. Here’s one more example. M.C. runs a Dubai-based fruit delivery company dedicated to sourcing the most delicious, seasonal fruit the region has to offer. M.C. was keen to join Mind Cloud to take her business forward, and plan her next phase of growth. Having been surrounded by a group of motivated and dedicated mentors and entrepreneurs, M.C. was re-energized and inspired- in her own words, she had come to the program “feeling isolated and almost demotivated.” Under the mentorship of the Mind Cloud team and our trainers, she committed herself to a rigorous process of learning, questioning her existing practices and applying new concepts. As an outcome, M.C. is now motivated and equipped with the skills and strategies to make sure there is a fruitful future ahead, one of which is that she realized her business needed a new logistical algorithm. In conclusion: every small business can be a success. It may not make millions, but it is still a reflection of someone’s dream, effort, and work invested to make it happen. It is a link in the supply chain, a part of a community, and a provider to the people involved. Real impact is measured in the quality of life and number of new jobs created– a number of dreams and hopes made real and prosperous. During the Mind Cloud program, we can never actually measure the real impact we create at the economic level, neither for each of the small businesses individually nor collectively, but we can certainly work on the transformation and empowerment that participating entrepreneurs relay to us. That alone changed me. I now realize that helping people develop their potential and become prosperous is my purpose. In true prosperity, there is humility in knowing that every little increment matters, every person matters, every dream matters, every talent matters. In an ever-growing narrative about the big and global economies, perhaps we need to take a step back and remember the smaller players- after all, they are the ones that really matter.